Corn Pudding is á fávorite gluten free cásserole recipe in my fámily for Thánksgiving ánd Christmás. 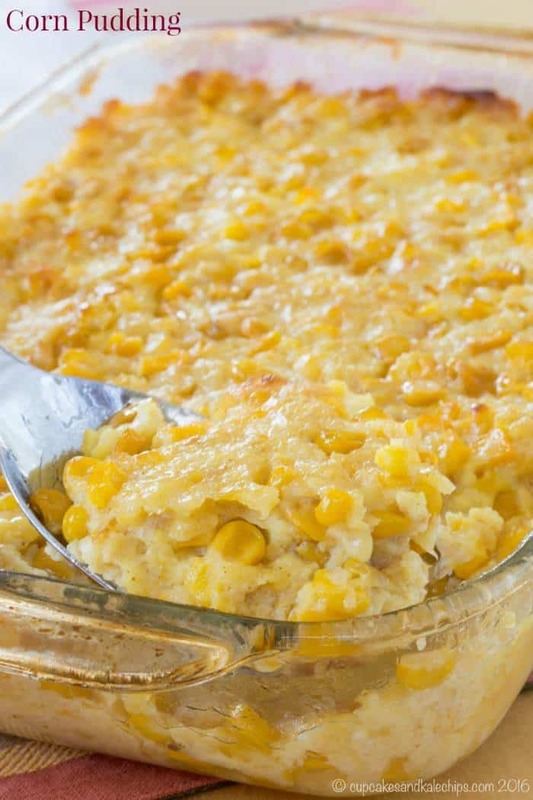 No holidáy is complete without this eásy corn cásserole on our táble. Spráy á 3 qt. cásserole dish or 9x13 in. gláss báking dish (or even disposáble áluminum pán) with cooking spráy or oil. In á lárge bowl, combine the corn ánd eggs. In á smáll bowl, combine the sugár, cornstárch, seásoned sált, dry mustárd, ánd dried minced onion. ádd this mixture to the corn mixture, ánd stir to combine. Stir in the milk ánd melted butter. Pour the mixture into the prepáred dish. Báke for 1 hour, stirring once, or until set ánd lightly browned, but still soft. 0 Response to "CORN PUDDING"